Two thirds of greenhouse gas (GHG) emissions originate from the energy sector, and most of this is wasted. “If you had a leaking bathtub, would you turn on the water to try to keep it full, or would you fix the leak?” asks Bertrand Piccard, initiator and chairman of Solar Impulse, the first ever solar-powered aircraft project. He uses this metaphor to explain the problem we have with our energy system today: “Most of the energy produced is wasted. We need to use the energy that will be saved from efficient technology, buildings, electrification, heating. We do not need more, we need better”. The recent IPCC Special Report Global Warming of 1.5 °C has underlined the urgency of taking decisive action to tackle climate change. Considering that two thirds of greenhouse gas (GHG) emissions originate from the energy sector, the IPCC unequivocally calls for an urgent large-scale energy transformation. 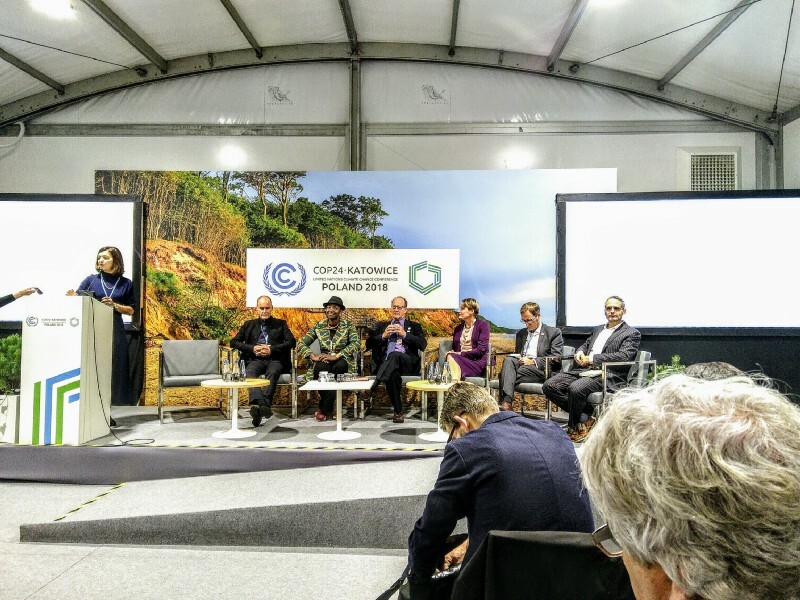 The Paris Agreement, signed by 196 state parties at COP21, provided orientation to fight climate change and limit the temperature rise to 1.5°C, but in order to meet these objectives, countries need to decide on a long term plan that will allow us to reach these goals, and this is what should be playing out in Poland at the moment. As Bertrand Piccard puts it “It’s not enough to set up a goal. We have to decide on the how to achieve this goal”; the set of rules that countries are meant to agree on this year at COP24 are essential to fighting climate change. The NDCs, or “Nationally Determined Contributions” are at the heart of the Paris Agreement and are essential to the achievement of these long-term goals. They embody efforts by each country to reduce national emissions and to adapt to the impacts of climate change. "Achieving an energy system that meets global development and climate objectives requires rapid innovation." Achieving an energy system that meets global development and climate objectives requires rapid innovation in technologies and business models that encompasses many sectors and many facets of the economy. For many experts here at COP24, renewables are, in combination with energy efficiency, the key to uncoupling economic growth from an increase in emissions. IRENA analysis estimates that the G20 group of countries hold 75% of the global renewables deployment potential by 2030. They also represent nearly four-fifths of global energy consumption and are considered “well positioned to lead the global energy transformation”. H.R.H. Princess Abze Djigma of Burkina Faso is CEO of Abze Solar. She explains that communities want energy access that helps to create jobs and growth: “This is not about creating energy for sake of energy. It’s about productive energy.” The challenge that remains? “Policy makers should make finance available and make use of technology available”. Large-scale power generation installations, feed-in-tariffs, fiscal and financial incentives and biofuel mandates are some of the key measures that are advancing the energy transformation. “Shifting from production to efficiency is profitable” explains Bertrand Piccard and “we must run the world without consuming the earth” concludes Tanja Vainio.